If you’re thinking about buying an air purifier then you likely have a lot of questions running through your mind. You may be wondering about things such as how do air purifiers work, what are they good for, where can you use them, what makes one air purifier better than another, and so on. While questions like these are common, the answers are not always that easy to find. 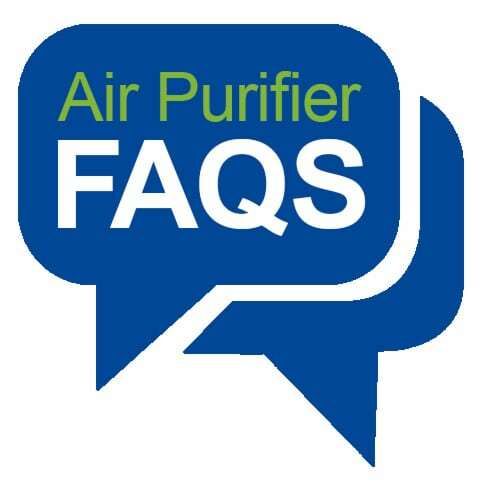 For that reason, we decided to compile a list of the most frequently asked questions (FAQs) about air purifiers and put them all together in one convenient guide. What you’ll find below is every question about air purifiers that people ask along with the simplest answer possible. Each answer is concise, to the point and explained in 50 words or less, so you can discover what you want to know quickly. Find your question below, then click on the link to be taken directly to the answer on the bottom half of this page. What is an Air Purifier and Does it Work? What Air Purifiers Do (What Does Air Purifier Do)? Why Air Purifier is Needed? How Air Purifier is Made? How Good is an Air Purifier? Why Use an Air Purifier? Why Use an Ionic Air Purifier? What is Air Purifier Ionizer? When to Use an Air Purifier? Where to Use Air Purifier? How to Use Air Purifier? When to Clean Air Purifier? How to Clean an Air Purifier? Where to Place Air Purifier? How to Place Air Purifier? Can Air Purifier Help Allergies? Can Air Purifier Remove Asbestos? Can Air Purifier Help Asthma? Can Air Purifier Remove Dust? Can Air Purifier Remove Formaldehyde? Can Air Purifier Remove Mold? Can Air Purifier Remove Pollution? Can Air Purifier Remove Smell? Can Air Purifier Help with Smoke? Can Air Purifier Remove Smoke? Can Air Purifier Remove Cigarette Smoke? Can Air Purifier Remove Virus? Will Air Purifier Help with Dust Mites? Will Air Purifier Help with Dog Hair? Will Air Purifier Help with Dog Smell? Will Air Purifier Help with Cat Smell? Will Air Purifier Help with Fire Smoke? Will Air Purifier Remove Musty Smell? Are Air Purifiers Good for You? Can Air Purifier Cause Cancer? Can Air Purifier Cause Headaches? Can Air Purifier Cause Sore Throat? Will Air Purifier Help with Sore Throat? Can Air Purifier Make You Sick? Will Air Purifier Help with COPD? Why Air Purifiers are Bad? Why are Ionic Air Purifiers Bad? What Air Purifier is the Best for Home? What Air Purifier is Best for Allergies? What Air Purifier is Best for Asthma? What Air Purifier is Best for Mold? What Air Purifier is Best for Pet Hair? What Air Purifier is Best for Smoke? What Air Purifier Removes Smoke? What Air Purifier is the Best? What Air Purifier to Choose? Are Air Purifiers Worth the Money? When to Buy Air Purifier? What Air Purifier to Buy? What Air Purifier Do I Need? Which Air Purifier to Buy? Which Air Purifier Best Buy? What Brand Air Purifier is the Best? Where to Buy an Air Purifier? Where to Rent Air Purifier? Yes. Air purifiers are effective at eliminating certain airborne pollutants like pollen, dust, bacteria, pet dander, smoke, mold spores, volatile organic compounds and odors. However, each product does have a maximum room size it can handle, so proper sizing is important for your intended use. Most air purifiers are safe. The only exception is ozone-producing air purifiers, which can irritate allergies, worsen asthma, and cause chest pain, coughing and lung damage. 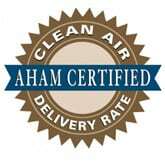 HEPA air purifiers are ozone-free. Ionic air purifiers are also safe and shouldn’t be confused with ozone air cleaners. Yes, air purifiers are useful for cleaning indoor air. Air purifiers remove airborne pollutants that cause allergies, trigger asthma, spread illnesses and produce odors. These devices clean the air around you so that it’s fresh for you to breathe. See Also: What Do Air Purifiers Do? Air purifiers are worth the money only if you get the one that’s right for your needs. Like any appliance, each air purifier has different uses, options and power outputs. Prices range from $50-800, allowing you to choose one with the right combination of features. See Also: Are Air Purifiers Worth it? Yes, air purifiers are good for you. These products improve indoor air quality by removing contaminants from the air, such as dust, smoke, pollen, pet dander, mold spores, bacteria, volatile organic compounds, odor particles and more. Air purifiers help create a healthier environment inside your home or office. An air purifier is made with any the following parts: a fan, special filters (i.e. HEPA or Activated Carbon), an ionic generator, ozone generator, ultra violet lighting or PlasmaWave technology. These components are arranged inside a plastic or aluminum casing and used to purify the air from airborne pollutants. An air purifier is very good at filtering airborne pollutants like dust, allergens, smoke, bacteria, volatile organic compounds, gaseous particles and other microscopic matter. Many air purifiers can remove 99.97% of these contaminants from the air you breathe. How to Place an Air Purifier? The best way to place an air purifier is to put it near the center of a room. Give it 18-24″ of clearance around the back and sides of the unit. Do not put it in a corner or under a shelf because this will limit the air flow. An air purifier is needed because indoor air quality is reported to be 2-5 times worse than the air outside (source U.S. EPA.) An air purifier filters out air pollution and replaces it with clean air for you to breathe, which helps improve your overall health. Not all air purifiers are bad for you. Only air purifiers that generate ozone are harmful to your health. All other types of air purifiers are good for you and help improve the quality of air inside your home. Why Use an Air Purifier or Why Buy an Air Purifier? The advantage of using an air purifier is that it reduces indoor contaminants that cause allergies, respiratory issues and illnesses. Air purifiers also remove dust, get rid of smoke and freshen the air by eliminating odor-causing particles. Some air cleaners also eliminate pet dander and hair too. See Also: What is an Ionizer? People think that ionic air purifiers are bad because they confused them with ozone generators. The two products are not the same. Ionic air purifiers emit negative ions into the air in order to clean it, which can irritate asthma. Ozone generators emit ozone, which is harmful to everyone’s health. In communal spaces like a living room you’ll want to use an air purifier 24/7. Running it for a few hours won’t sufficiently clean the air because new pollutants continue to show up. In rooms kept closed like a bedroom you could use it only while it’s being occupied. You should buy an air purifier when you’re having any signs of nasal congestion, eye irritation or breathing problems while indoors. It’s also a good time to buy one when you’re noticing dust, smoke, pet dander or odors inside your home. Air purifiers can help with all of those things. You should clean an air purifier every three to six months, depending on the amount of use it gets. Most air purifier filters are only good for that amount of time. Some air purifiers have a filter change indicator, which takes the guesswork out of when to clean it. An air purifier ionizer is a device that emits negative ions into the air as a way to clean it. These ions latch onto positively charged particles like pollen, dust, dander, bacteria, etc. and cause them to become too heavy to stay in the air, which purifies it. Air purifiers do one thing – they clean the air around you by removing harmful contaminants. Indoor air is 2-5 times worse than the outdoors and is full of pollutants that cause allergies, trigger asthma, produce odors, spread diseases and more. Air purifiers create a healthier indoor environment. Every person should buy an air purifier that meets their specific needs. Air purifiers come in all shapes, sizes, colors, price ranges and can handle various sized rooms. Some air purifiers are better for allergies and others for asthma, pets, smoke, mold and more. A free buyers guide is available. You need an air purifier that’s best designed for your intended use. For allergy and asthma relief choose a HEPA air purifier. For mold problems a HEPA, Ultra Violet Light and Carbon Filter combo. For pets a HEPA and Carbon Filter. For smoke a HEPA, Carbon Filter and Ionizer combo. The best air purifier for allergies is one that includes a pre-filter and True HEPA filter. This is the only combination that will trap allergen particles like pollen, pet dander, dust and mold spores. The top two air purifiers recommended by allergists are Honeywell HPA200 and HPA300. The best air purifier for asthma is one that includes a long-lasting HEPA filter. A HEPA filter captures microscopic particles that trigger asthma symptoms as small as .3 microns in size. The top two air purifiers like this are Rabbit Air MinusA2 and Blueair 203W. The best air purifier for mold is one that includes a combo of a True HEPA filter (traps mold spores), Ultra Violet Light (destroys mold DNA) and an Activated Carbon Filter (removes mold odors). The top two air purifiers with these features are SilverOnyx and GermGuardian AC5000E. The best air purifier for pet hair includes a True HEPA or HEPA-type filter. Pet hair is 50 microns in size and these filters capture particles as small as 0.3 to 2 microns. The top two air purifiers are Winix WAC9500 and Hamilton Beach TrueAir Compact Pet Air Purifier. The best air purifier for smoke includes a True HEPA filter and Activated Carbon filter. The True HEPA filter captures 99.97% of visible smoke particles and the Activated Carbon filter eliminates tobacco odors. The two best air purifiers are Rabbit Air MinusA2 and Austin Air HealthMate HM400. An air purifier with a True HEPA filter removes visible smoke, while an air purifier with an Activated Carbon filter gets rid of smoke odors. It’s best to get a device that includes both of these filters if you want to clear up smoke from tobacco, cooking or fires. View more products on our Top 10 List. You should choose an air purifier that meets your wants and needs. Each air purifier is designed to tackle certain home contaminants. Some products fight dust and allergens, others remove smoke and odors, some eliminate mold, and others reduce pet dander and hair. Combination of each also exist. A HEPA air purifier is one that uses a High-Efficiency Particulate Air (HEPA) filter. HEPA air purifiers are considered the best type because they can trap 99.97% of harmful particles as small as .3 microns, including pollen, pet dander, dust, mold spores and tobacco smoke. An air purifier is a device that cleans the air inside a room by removing harmful contaminants. Every home has airborne toxins that can lead to serious health problems. An air purifier is the only device that does work to get rid of these unsafe particles from your airspace. It’s best to buy an air purifier which fulfills your greatest need. Each brand of air purifier is built to handle a specific problem. 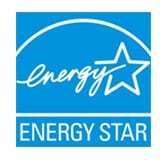 For example, some work best for allergies, others for asthma, viruses, smoke, odors, pets, mold and more. View our free guide for helpful buying tips. Where to Buy Air Purifier? You can buy an air purifier from home goods stores such as Walmart, Target, Lowes and Home Depot. You can also buy one directly from the manufacturer. However, the best place to buy an air purifier is from Amazon.com because of their lowest prices and easy return policy. You should place an air purifier where it’s most needed inside your home. Top places include: living room, bedroom, office and basement. Air purifiers can only clean adjacent rooms not separated by a door or wall. If you want to purify multiple rooms, consider buying more than one. The best places for where to use an air purifier are in the living room, bedroom, kitchen, office and basement. These are the places people spend the majority of their time indoors. Therefore, you want these locations to have the cleanest air possible. Not many places rent air purifiers because they’re so inexpensive to buy. If you do find a rental location, it often only has a commercial grade air cleaner that’s made for large jobs such as mold remediation. For home use, it’s most economical to buy your own air purifier. Yes, an air purifier can help with allergies. Just make sure that it uses a HEPA filter, which is the best kind for removing airborne allergen particles. Yes, an air purifier can remove formaldehyde. Just make sure that it has an Activated Carbon filter, which is the only kind that can remove Volatile Organic Compounds (VOCs) like formaldehyde. Yes, an air purifier can remove smoke from tobacco, cooking and fires. You’ll need to make sure that it has a HEPA filter to get rid of visible smoke particles and an Activated Carbon filter to eliminate the smoke odor. Yes, an air purifier can remove mold. However, it must include a HEPA filter which traps mold spores and prevents them from reentering the room. Two other nice features to have are an Activated Carbon filter to eliminate mold odors and a germicidal UV-C light to stop spore reproduction. Yes, an air purifier can remove viruses. The best devices include a germicidal UV-C light which kills viruses in the air by destroying their DNA structure. A HEPA filter is second best because it traps virus particles inside a filter and stops them from reentering the airspace. See Also: What is an Ultra Violet Light Used for? Yes, an air purifier can help with asthma. If you are asthmatic, you’ll want an air purifier with a HEPA filter which removes particles and allergens from the air that can trigger symptoms. Never use an ionic air purifier because it can make your asthma worse. No, an air purifier does not cause cancer. It’s quite the opposite, actually. Air purifiers remove pollutants that are known to cause cancer from long term exposure like vehicle exhaust, coal emissions, chemical agents, gases and bacteria. Yes, an air purifier can remove dust. To be effective against dust the air purifier must have a HEPA filter. This filter removes microscopic particles that form dust before it has time to settle on surfaces. Rooms that have an air purifier don’t need to be cleaned as much. An air purifier does not cause headaches. Headaches are often caused by sinus pressure, allergies, inhaling chemical fumes or odors to which a person is sensitive. On the contrary, air purifiers remove particles from the air that cause headaches, making them a great investment for people prone to this issue. Can Air Purifier Remove Smell and Odors? Yes, an air purifier can remove smells but only if it has a certain type of filter. Make sure that the air purifier you buy includes an Activated Carbon filter, which is designed especially to absorb smells and odors. See Also: Do Air Purifiers Remove Odors? Yes, an air purifier is specially designed to remove pollution. No other device is equivalent for cleaning the air. Air purifiers remove harmful particles from the air and improve your air quality. Many products have a 99.97% effective rate at removing pollutants. No, an air purifier does not cause a sore throat. The most common cause of sore throats are bacteria and viruses. An air purifier can help prevent a sore throat by removing these types of contaminants from the air and sterilizing the air you breathe. Yes, an air purifier can remove asbestos as long as it has a HEPA filter. Asbestos particles range from 0.7 to 90 microns in size. HEPA filters capture over 99% of particles above 0.3 microns, which includes asbestos. No, an air purifier cannot make you sick. Air purifiers actually help prevent sickness. These devices remove contaminants from the air that cause illnesses and diseases such as bacteria, mold, viruses and volatile organic compounds. People who use air purifiers at home tend to remain healthier. Yes, an air purifier can help with smoke. To get rid of visible smoke the air purifier must have a HEPA filter. To get rid of smoke odors it will need to have an Activated Carbon filter. Our free guide can help you find a product that fits this need. Yes, an air purifier can remove cigarette smoke. Cigarette smoke ranges between 0.3 to 1 micron in size. Air purifiers with a HEPA filter can eliminate 99% of particles as small as 0.3 microns, which includes cigarette smoke. Yes, an air purifier will help with dust mites. Air purifiers reduce dust, which is the main food source for dust mites. The less dust inside your home, the less dust mites you will have. The best type of air purifier for dust mites is one with a HEPA filter. Yes, an air purifier will help with dog hair as long as it has a HEPA filter. Air purifiers of this kind use a fan to pull air in from around the room and dog hair will get collected inside the filter. Yes, an air purifier will help with dog smell if it has an Activated Carbon filter. This is the only type of filter that can absorb dog smells and helps a room smell fresh and clean. Yes, an air purifier will help with cat smell as long as it includes an Activated Carbon filter. This type of filter is highly absorbent of particles that cause odors. Air purifiers of this kind are great at eliminating strong smells from cats and litter boxes. Yes, an air purifier can help with COPD. Air purifiers make it easier for people with COPD to breathe by removing airborne contaminants that irritate the lungs. It’s important to only use a device with a HEPA filter. Don’t use an ionizer since these emit ions that can trigger COPD exacerbations. Yes, an air purifier can help with fire smoke if it has a HEPA filter. Fire smoke consists of soot, fine ash, volatile organic compounds, air toxics and other very small particles, which a HEPA air purifier is designed to eliminate. An air purifier will not make a sore throat go away. Sore throats occur from viral infections. However, an air purifier can remove viruses from the air that do cause sore throats. Using a device like this inside your home can help prevent illnesses from spreading. Yes, an air purifier will remove a musty smell if it includes an Activated Carbon filter. This special filter absorbs particles that cause musty odors such as mold and mildew. See Also: What is an Activated Carbon Filter? Can air purifiers reduce dust in a room? Will air purifier help with cat allergies? Can an air purifier cause sore throat? Will an air purifier help with mold? What Does a Air Purifier Do? How Do Air Purifiers Work? Do Air Purifiers Remove Odor? What is an Air Ionizer? How Does an Ionizer Work? What is a UV Light Air Purifier? What is an Activated Carbon or Charcoal Air Filter Used for? What is a Smart Air Purifier and How Does it Work? What is a Personal Air Cleaner or Purifier? Are Ionic Air Purifiers (Ionizers) Safe or Bad for Your Health? Will an Air Purifier Remove Dust or Help with Dust Mites? Do Air Purifiers Help with Smoke and Remove Odor? Are Air Purifiers Effective? Good for You? or Necessary? Do Air Purifiers Work for Pet Odor? Air Purifier vs Air Conditioner: What’s the Difference? Air Purifier vs Houseplants: Which is Better and Why? Air Purifier vs Air Scrubber: What’s the Difference?